I do most of my painting in my little basement art room in my house, but once in awhile I venture out and paint in other locations. Below are three of my painting adventures away from home. 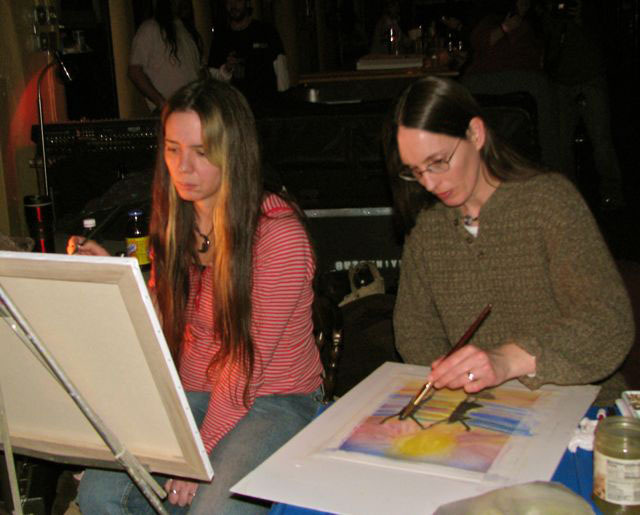 Some of my artist friends enjoy painting on location at music festivals and live music shows. They create beautiful abstract paintings in acrylic. 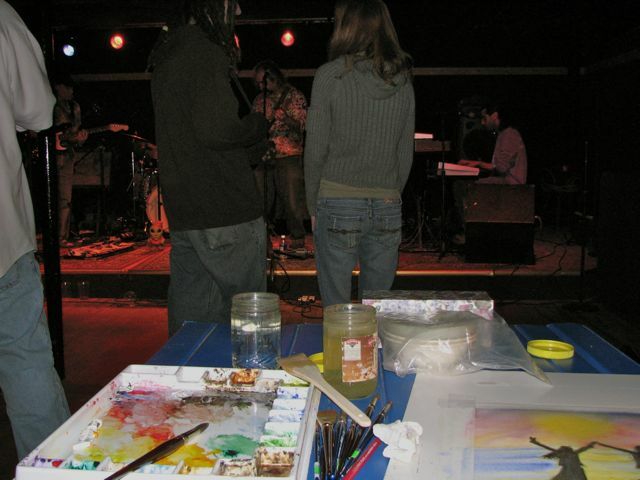 One of my friends, Brianne, suggested I paint with her at a Juggling Suns show at Mill Street Brews in Southbridge, MA in 2007. Her husband, Mark, is the lead guitarist in the New Jersey based band. I was very nervous to try since I usually paint very slowly from photos, but I worked up my courage, headed to Massachusetts, listened to some amazing music, and came up with a fun abstract (for me!) painting. It was a great night! 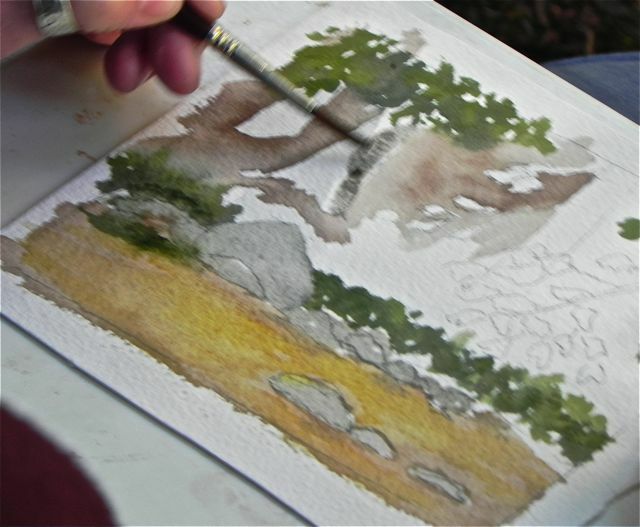 Painting with Brianne...acrylics and watercolors. My view of the stage. 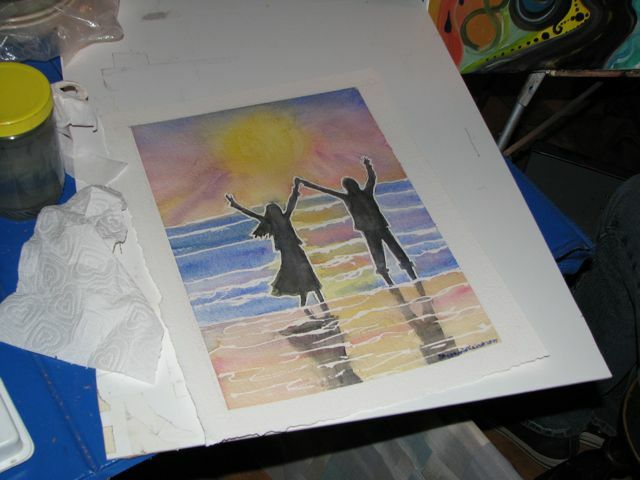 I love painting to great music! The finished painting. I call it "Let the Sun Shine". 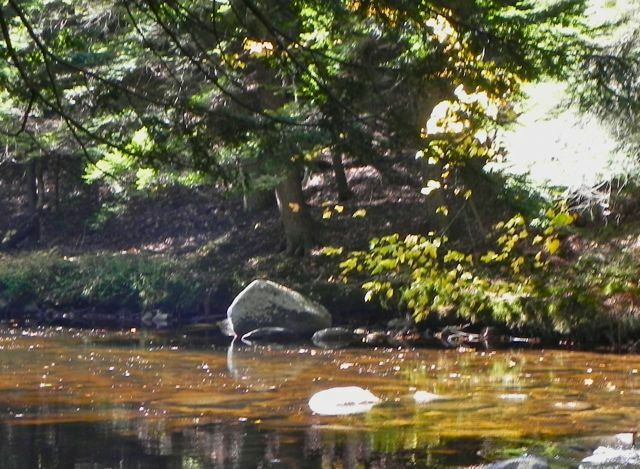 In October 2010 my family and I went for a fall camping weekend not too far from home on the Sugar River in Newport, NH. 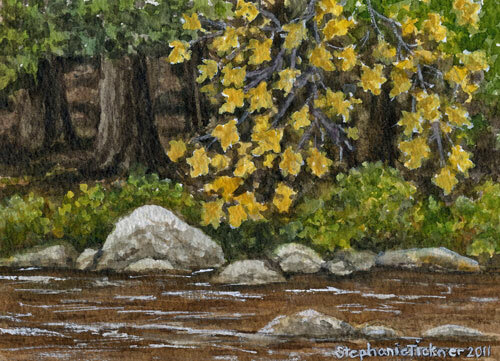 It was so relaxing walking, playing and even painting by the water. 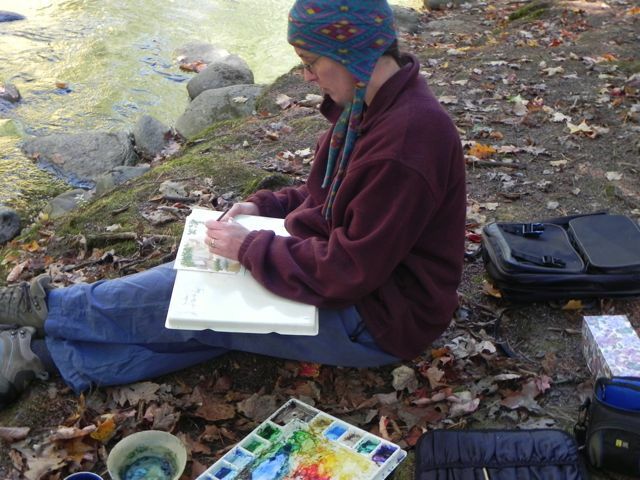 This was the first time I tried plein air painting. The finished painting - "Sugar River, Newport".